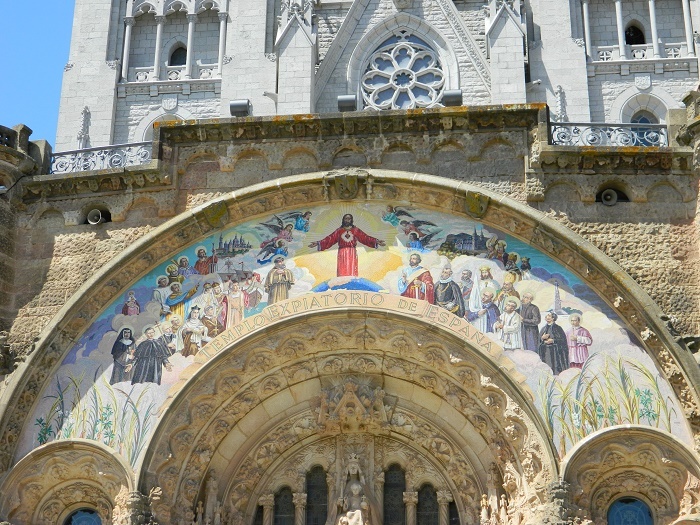 The Temple Expiatori del Sagrat Cor, also known by its informal name Temple of Tibidabo, is a beautiful Roman Catholic church and minor basilica that sits atop the highest point of Mount Tibidabo, located next to the city of Barcelona, in the autonomous community of Catalonia, within the Kingdom of Spain. 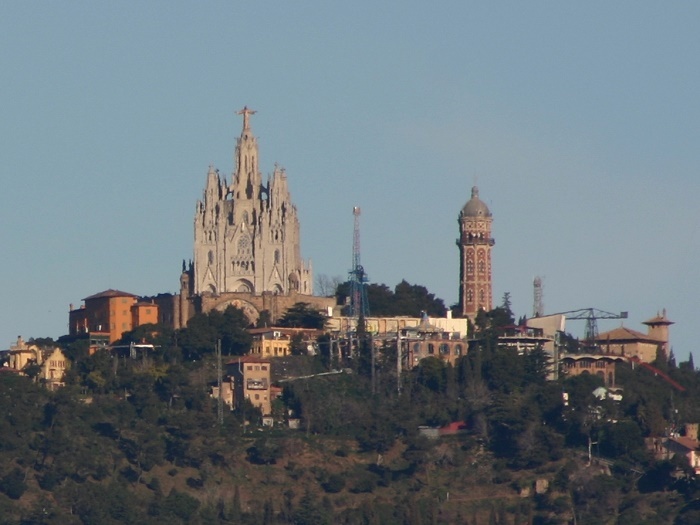 Looking down the great city, the church was designed by the Catalan architect, Enric Sagnier i Villavecchia, however, it was completed by his son Josep Maria Sagnier i Vidal. 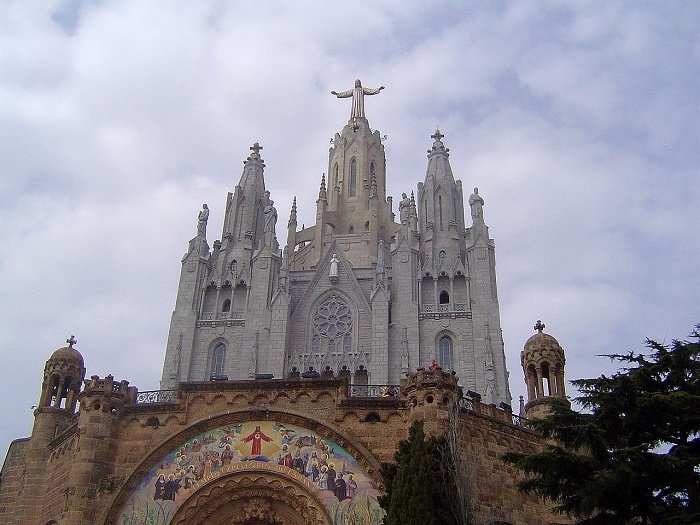 The construction began in 1902, with hope that it will be Barcelona’s answer to Paris’ Sacré-Cœur Basilica, the architectural style follows the Neo-Gothic style with a certain mixture of modernista. 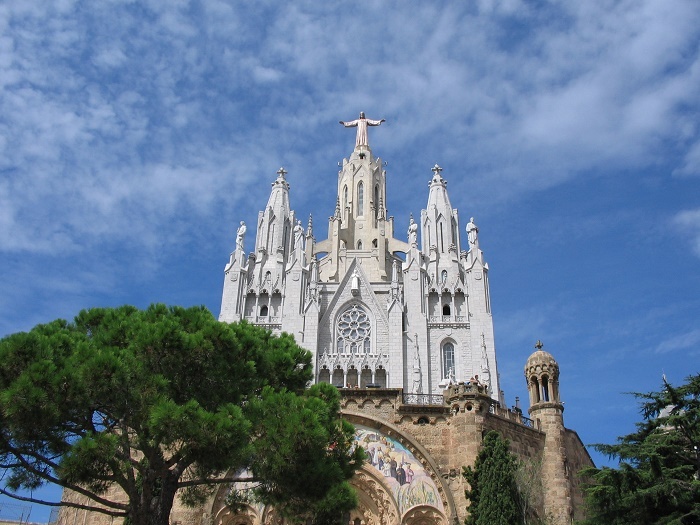 There are sources which state that the church was built out of fear because on the summit of Mount Tibidabo a Protestant church together with hotel and casino are considered to be built. 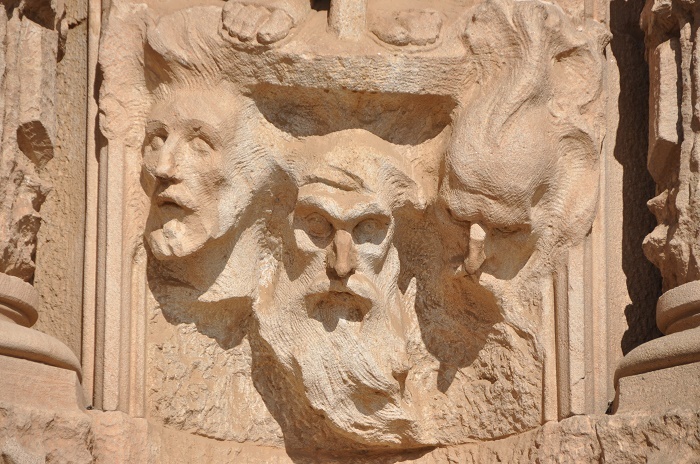 This motivated the “Board of Catholic Knights” to acquire the ownership of the field and give it to Saint John Bosco in 1886. With some struggles, the official stone was laid on 28 December 1902 in a ceremony presided by the Bishop of Barcelona, Salvador Casañas i Pagès. 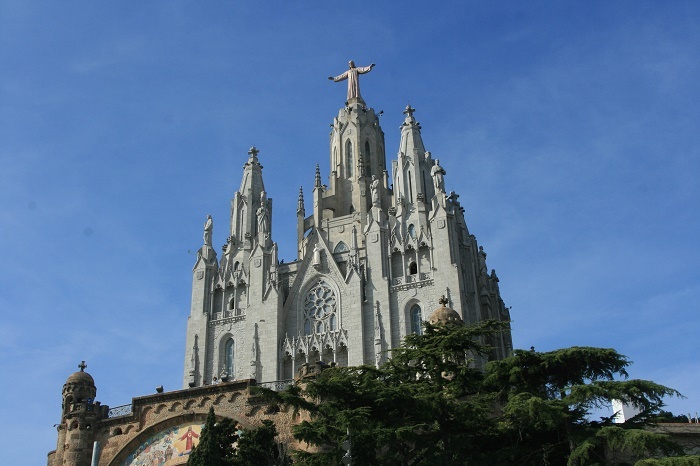 Today we are able to witness something extraordinary, as the lower part of the church, the crypt, is built of stone from the hill Montjuïc, topped by the monumental Neo-Gothic church accessed by two grand outdoor stairways. 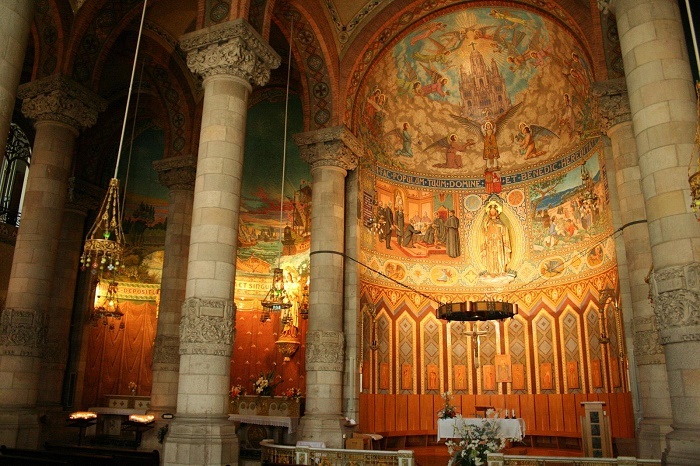 The upper church has a central floor with an octagonal dome that stands on eight columns, where the entire story of this religious structure actually reflects the rise and the purification of the human condition by means of sacrifice and atonement. 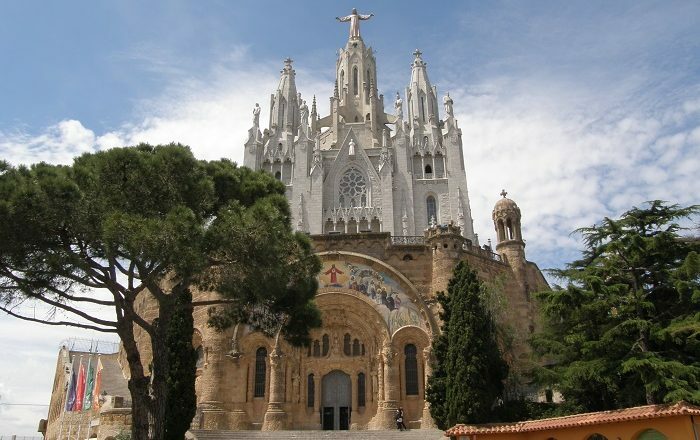 The exterior is probably more spectacular according to some people, as the church from the outside can be seen that it has a square shape with three apses, where the large central tower is accompanied by four lower towers which mark the four corners of the square. 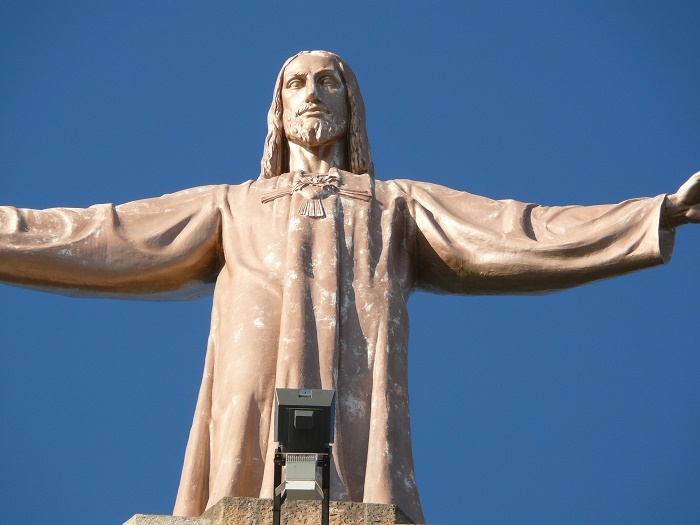 In addition to the lower towers, there are the statues of the Twelve Apostles which were sculpted by Josep Miret, however, the main central tower is topped by an enormous bronze statue of the Sacred Heart which was at first an original work by Frederic Marès that was destroyed in 1936, and later replaced in 1950, by another one which was done by Josep Miret. 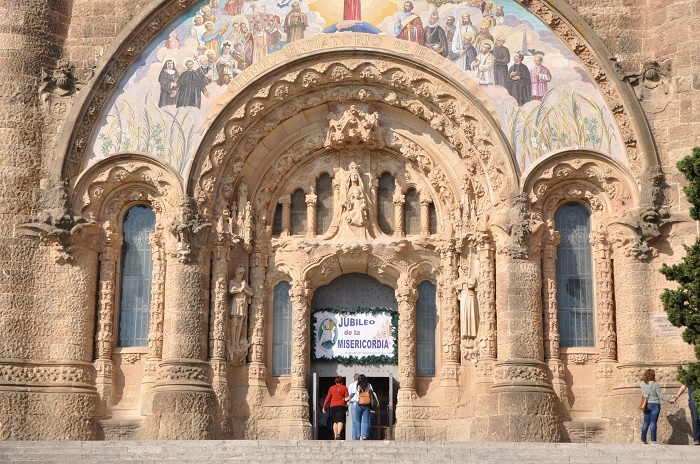 The interior on other hand is divided into a nave and two aisles with semicircular apses, with stained glasses and four rose windows on the façades, where at the main altar stands the great crucifix created by Joan Puigdollers. The windows of the four towers contain the Latin phrase ‘Tidi Dabo’, which actually means “I’ll give you”. 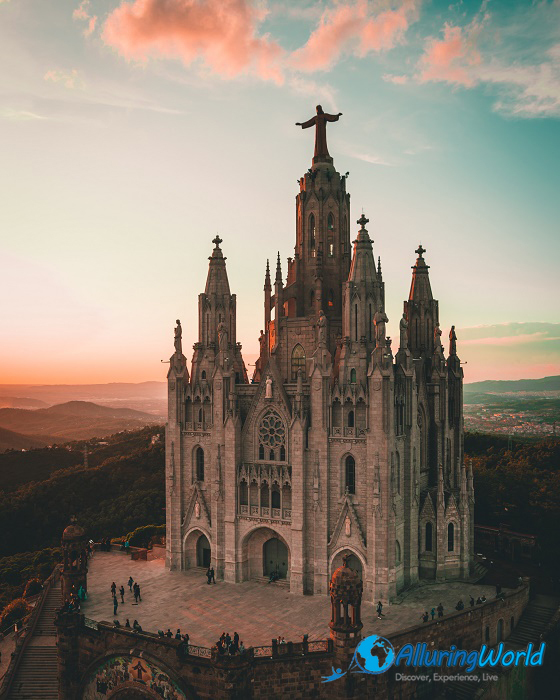 Open for visitors throughout the year, the Tibidabo Cathedral is definitely one of the most visited places around the city, and will allure people who are constantly visiting Barcelona to come and see the magnificent views of the city that the Temple Expiatori del Sagrat Cor offers.